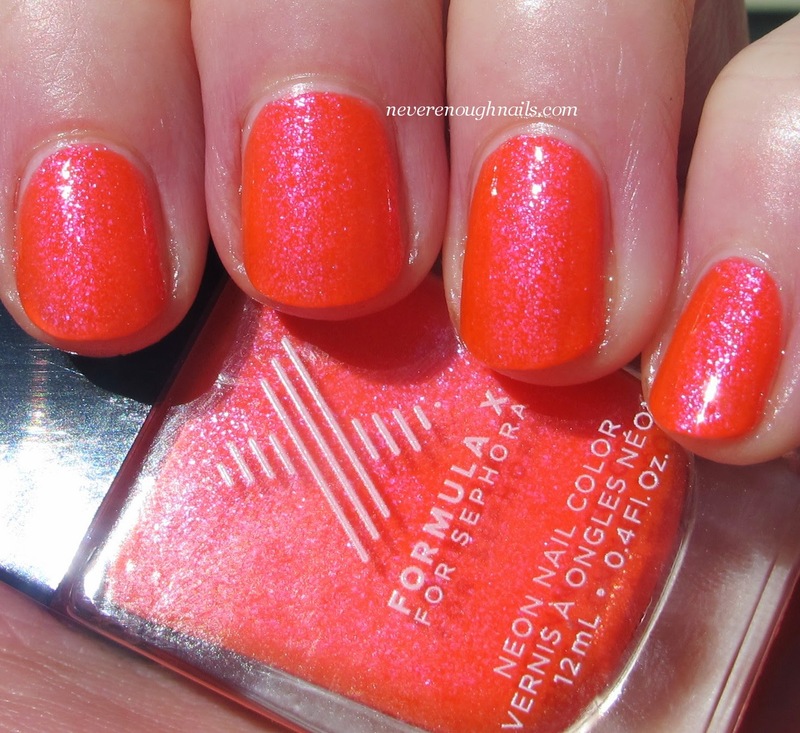 Never Enough Nails: Ready for Summer with Formula X Danger Zone! 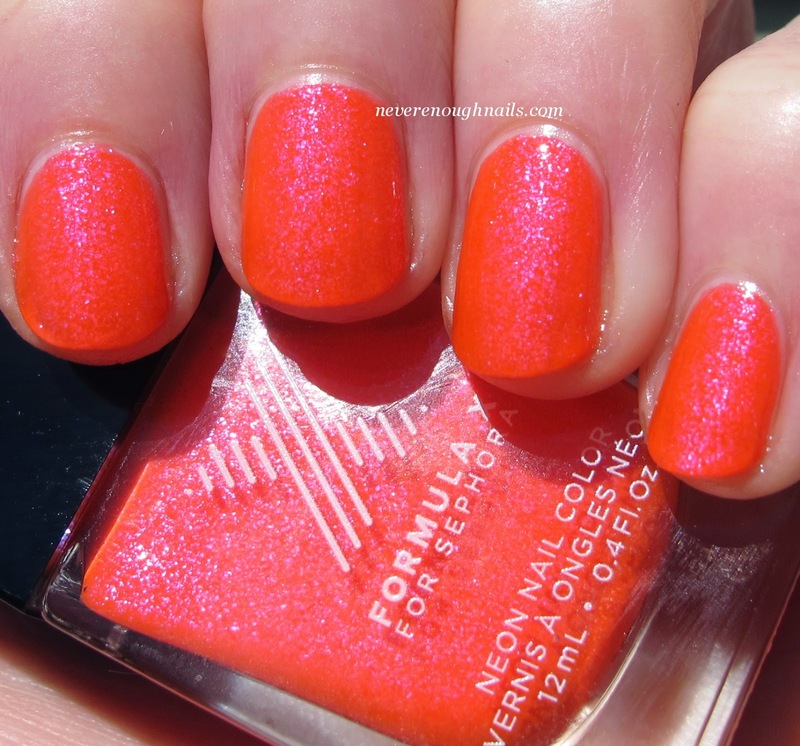 Formula X for Sephora Danger Zone is the first polish from Formula X I have tried. Wowza, what a way to kick off trying a new brand! 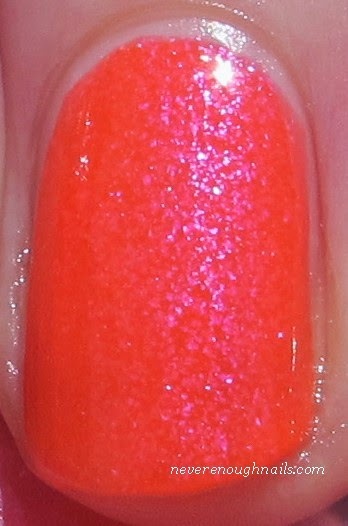 Danger Zone is an eye-searingly bright coral pink neon with pretty blue-ish shimmer. My camera kind of had a heart attack about this one, so I have to tell you that it leans more pink than the pictures suggest. The pictures all look orange, almost red-orange, but in person it's a slightly orange-hued pink. This polish screams SUMMER to me, even though the weather around here is nowhere near summer. This is three thin coats of Danger Zone. Two thicker coats would be opaque as well. Since this is a neon, it dries down to a satin finish, so I did used a shiny top coat for these swatches. The formula was excellent, nice and easy to apply, no streaking. I am really happy with this purchase and I think I will try some more Formula X polishes! They have a huge variety of colors and finishes to choose from, so it shouldn't be hard to find some pretties. Formula X polishes are available at Sephora stores and Sephora.com.